Paying off debt can be overwhelming. But it doesn’t have to be. The right repayment method will give you a clear, easy-to-understand path to becoming debt-free. 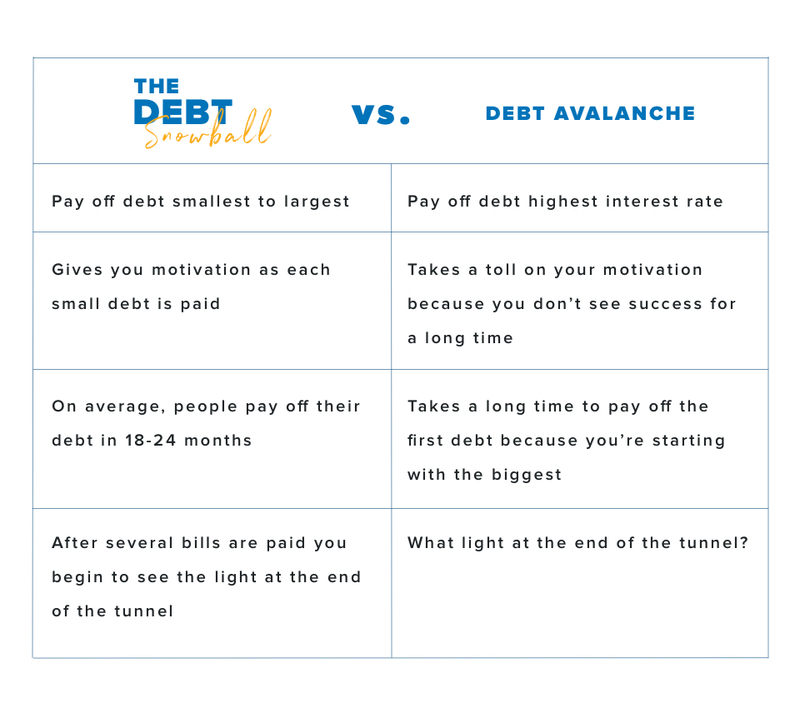 There are two popular methods folks use to become debt free: debt avalanche and debt snowball. Here’s a snapshot of both methods, and an explanation of why one works better than the other. 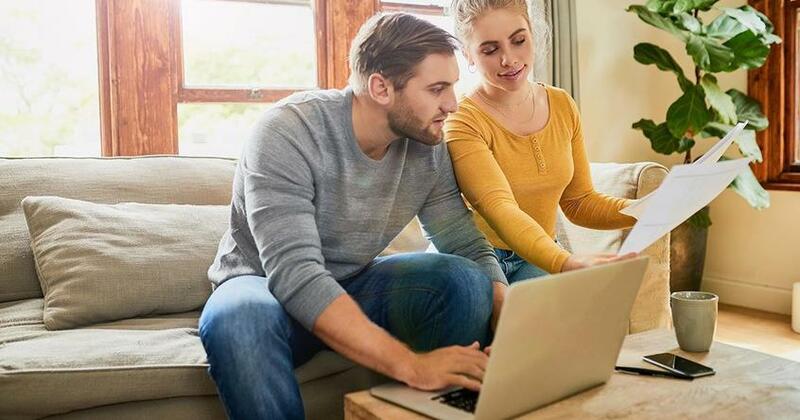 The debt avalanche, also known as debt stacking, is when you pay off your debts in order from the highest interest rate to the lowest, regardless of balance. Here’s a real-life scenario: Say you have a credit card balance of $20,000 at 20% interest and a student loan of $10,000 at 5% interest. 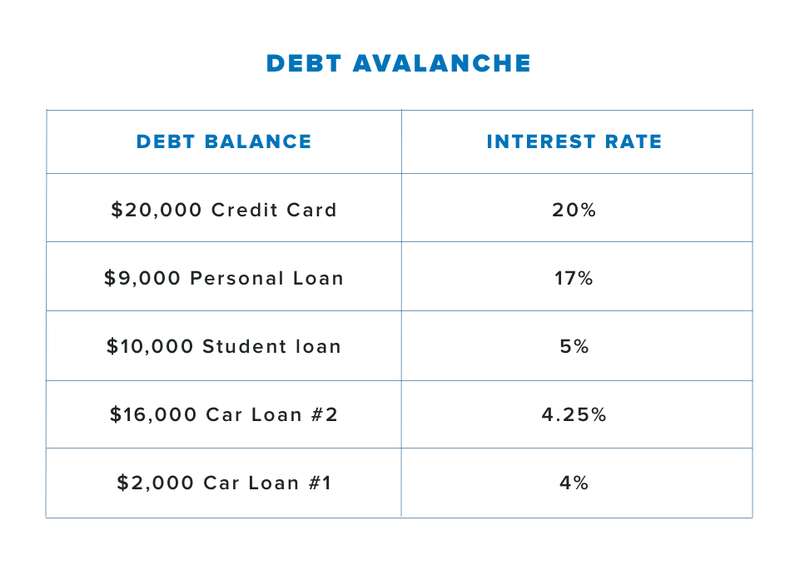 Folks who use the debt avalanche method would work to pay off the $20,000 credit card debt before they tackle the student loan debt. They think they’ll save money in the long run by paying off the debt with the highest interest rate first. But, as we’ll explain later, starting with the highest interest rate is a mistake. It doesn’t. And the steps are a bit vague. But just for fun, let’s play out the debt avalanche scenario the best we can. Folks who use the avalanche method understand debt is bad and steals from your future. (We’re all on the same page with that one.) So, the first step to working the debt avalanche is: Stop piling up more debt. Good call, debt avalanchers. Calling it quits with debt is something we all can get behind. So, with this example, folks who use the debt avalanche method begin paying off the $20,000 credit card balance first. Then they’ll rank expenses in order of interest rate and attack the debt with the highest interest rate first while paying minimum payments on everything else. Once they pay off the highest interest rate, they’ll work their way down to the debt with the lowest interest rate. From here, the steps in the debt avalanche get fuzzy. Some folks say you should try to lower your credit card interest rate by doing a balance transfer (moving your credit card to another bank). But it takes time and effort shopping around to find the lowest interest rate—and one that won’t change over time. Good luck with that! You also have to be diligent to read the fine print so you don’t get burned later on. Honestly, this sounds like a hassle. It’s better to focus on getting rid of your debt instead of just moving it around from one card to another. And that’s where the debt snowball comes in. 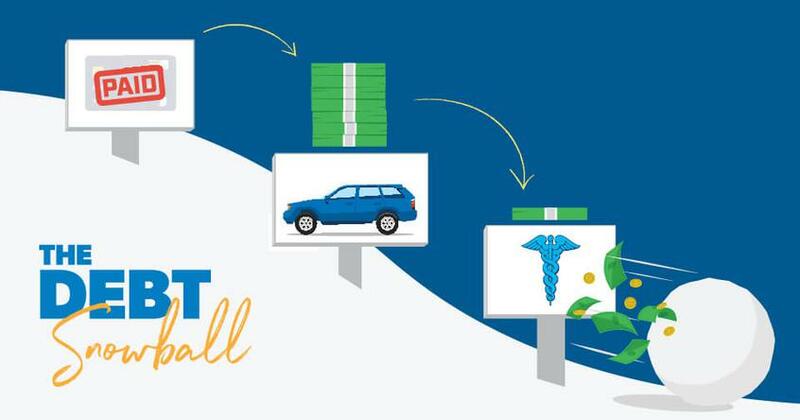 With the debt snowball method, you pay off debt in order of smallest balance to largest, regardless of interest rate. You make minimum payments on everything but the smallest debt and attack that one with a vengeance. When that bill is paid, you move to the next smallest and repeat until you plow through all your debt. The advantage of the debt snowball is that it forces you to stay intentional about paying one bill at a time until you’re debt-free. This way of paying off your bills gives you power over your debt. When you clear that first bill and move on to the next, you’ll see that you are in charge of your money. And that’s so motivating! 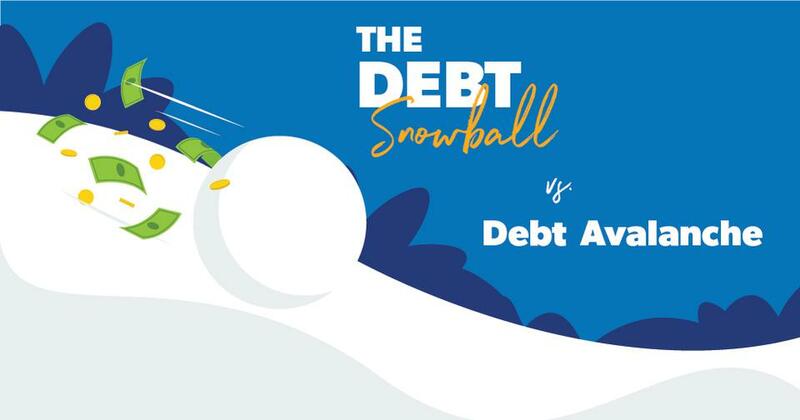 The debt avalanche and debt snowball have a similar goal: to help you become debt-free. But the debt snowball gives you motivation, and motivation is the secret sauce that gets you debt-free faster! When you pay off that smallest debt first, you get a taste of victory. And that feeling of success is the momentum you need to tackle the next debt with a vengeance. With the debt avalanche, you won’t get a feeling of accomplishment for a long time. You could lose steam and give up long before you even pay off the first debt! Sure, it might make sense mathematically to begin with the debt that has the highest interest rate, but—let’s get real—if we were focused on math, we wouldn’t be in debt in the first place. 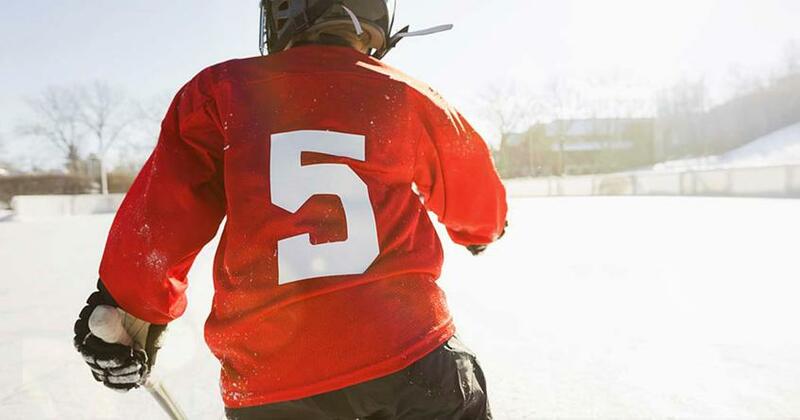 More than 5 million people have used the debt snowball method to pay off debt. If you’re ready to learn more about it—and begin creating your own—sign up for this free three-day email series. It’ll give you an in-depth, personalized approach to help you get the ball rolling. 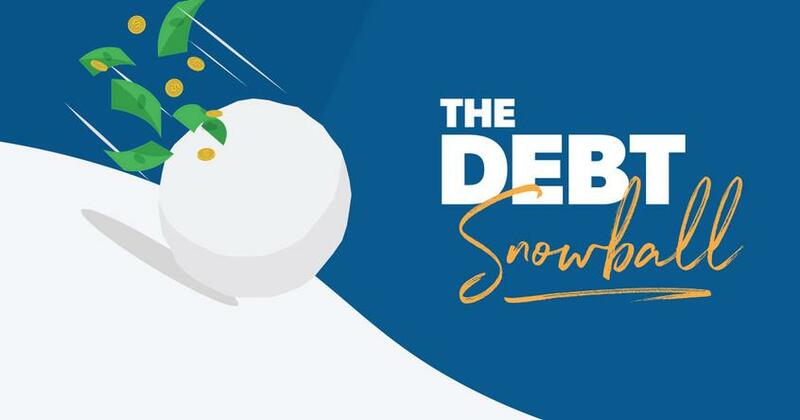 Also, the debt snowball is the core teaching of Financial Peace University, so if you’re ready to really rock your money goals, take the first step today!